UNCG alumna Elizabeth Hudson ‘95 began her career at Our State magazine in 1997 answering telephones. Now she’s the editor-in-chief, and she puts more than 2,000 miles a month on her car visiting all around the state in order to better communicate the many great things North Carolina offers. When you meet her, she quickly informs you that she has the best job in the world, and she credits UNCG for preparing her to get it. 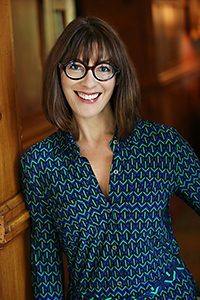 Hudson will return to her alma mater Sept. 23 at 4 p.m. to talk about her new book, “Wish You Were Here.” The presentation will be in the Virginia Dare Room of UNCG’s Alumni House. Hudson knows whereof she writes. The North Carolina native grew up in the small community of Farmer, near Asheboro. She holds a bachelor’s degree in English from UNCG and began her publishing career in 1997 at Our State magazine. She held various editorial titles for 10 years before becoming editor-in-chief of the 80-year-old publication in 2009. Each month, Hudson works with the top writers and photographers in the country, including former Friends of the UNCG Libraries board members and authors Michael Parker and Susan Kelly, to produce a magazine that has garnered national attention. In 2011 and 2012, Our State won consecutive Gold Eddies for “Best Issue” of a regional magazine in the country, the top honor from FOLIO: Magazine, the magazine industry’s leading publication recognizing editorial excellence. Hudson also received the 2014 Ethel Fortner Writer and Community Award for her work on the magazine, an award that celebrates contributions to the literary arts of North Carolina. Hosted by the Friends of the UNCG Libraries, the event is free and open to the public. Hudson will sign copies of her book following the program.